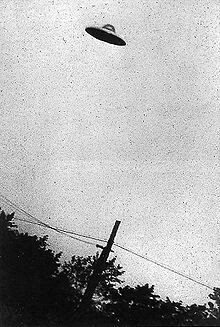 JdN: Many other excellent UFO reports since this incident back in 1942 have been covered up since Day One, but not this one. 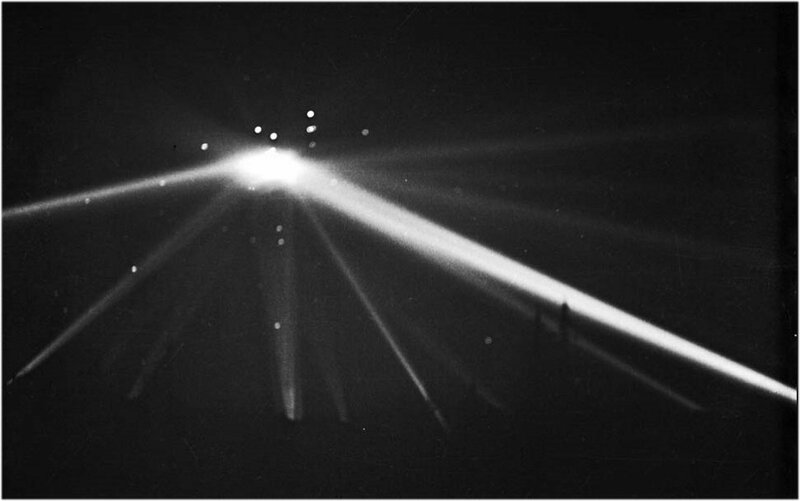 The newspapers could not possibly cover up all the anti-aircraft guns in greater Los Angeles firing for hours into the night sky at a UFO, which hundreds of thousands of Californians SAW due to the searchlights. And no one knows if this alien force was good, bad or neutral toward us. In the early morning hours of February 25, 1942, suddenly appearing out of nowhere, but most likely doing so only after dropping out of the night sky initially from a steep angle out over the Pacific on a curving south to east trajectory, a huge object of unknown origin, possibly with protective detection devices on, at a lower altitude levels off. The object continues on a trajectory east toward the city of Los Angeles at ultra high speed barely skimming the water just above the surface. At 120 miles out, the object most likely picks up electronic probes from the Army long range listening apparatus or rudimentary early radar and retracts it’s entry shields, reducing it’s speed to a near crawl some 50 miles out, turning inland somewhere near Point Dume. Scattered eyewittness accounts from years later pick up the object apparently dropping down into the radar shadow by hugging the mostly unpopulated ridge-line along the north side of the Santa Monica mountains in an easterly direction. It then turned south in the gap in the mountains around Sepulveda Boulevard and Mullholland Drive coming in BEHIND the aimed direction of the majority of the anti-aircraft guns and any possible radar or long range listening devices. In a continuing steeply angled climb out of the Santa Monica mountains the object curved slightly to the east around and well above the 511 foot altitude of Baldwin Hills in what appeared to be a concerted effort to stay away from all the potential aircraft and armament associated with Mines Field (now LAX). The object turned westward toward the ocean coming out over the aircraft manufacturing plants near the El Segundo tank farm, then, dropping altitude, south along the coast. Earlier, as the unidentified target continued on it’s apparent approach toward the Los Angeles area only to disappear behind the mountains inland west along the coast, the air raid warning system regional controller, still jittery from the oil refinery attack in the same general area only a few hours before, ordered the newly installed antiaircraft batteries to go to Green Alert — “ready to fire.” At 2:15 AM, with the object’s position unknown with any amount of certainty, for the first time since the start of the war, the controller ordered the whole warning system into operation, with an area-wide blackout that effected the region from Los Angeles to the Mexican border and as far inland as the San Joaquin Valley. At 3:06 AM, for reasons unclear, at least four Santa Monica area anti-aircraft batteries turn inland and start firing out over the city and Baldwin Hills, and suddenly “the air over Los Angeles erupted like a volcano.” For the next three hours it was nothing but confusion with “swarms” of planes of all possible sizes reported, numbering from one to several hundred, traveling at altitudes from a few thousand feet to more than 20,000, and flying at speeds from very slow to hundreds of miles per hour. However, whatever it was or whatever they were, no bombs were dropped nor was there any resultant destruction by the invader. So too, despite the fact that 1,440 rounds of anti-aircraft ammunition had been expended, whatever was “up there” seemed impervious to the barrage — in the end, escaping with no sign of damage or losses. “I was an eyewitness to the events of that unforgettable February morning in February of 1942. I was eight-years-old at the time, and my parents lived at 2500 Strand in Hermosa Beach, right on the beach. We thus had a grandstand seat. While my father went about his air-raid warden duties, my late mother and I watched the glowing object, which was caught in the glare of searchlights from both Palos Verdes and Malibu/Pacific/Palisades and surrounded by the puffs of ineffectual anti-aircraft fire, as it slowly flew across the ocean from northwest to southeast. It headed inland over Redondo Beach, a couple of miles to the south of our vantage point, and eventually disappeared over the eastern end of the Palos Verdes hills, what’s today called Rancho Palos Verdes. The whole incident lasted, at least from our perspective, about half an hour, though we didn’t time it. Like other kids in the neighborhood, I spend the next morning picking up of pieces of shrapnel on the beach; indeed, it’s a wonder more people weren’t injured by the stuff, as we were far from the only folks standing outside watching the action. In February of 1942 I was a boy myself, somewhat younger than Littleton, living with my two brothers and my parents in a little house on the 300 block of South Lucia Street in Redondo Beach, California. I remember that night quite well. Most people would agree that Littleton, age eight, could remember what he saw that night, but me, a couple of years younger, questionable. However, I remember a lot of things, up to and well before that period of time in my life. For example, my mother nursing my brother who was three years younger than me. Seeing barrage balloons floating in the sky tethered to the ground over the shipyards in Terminal Island where my father worked. 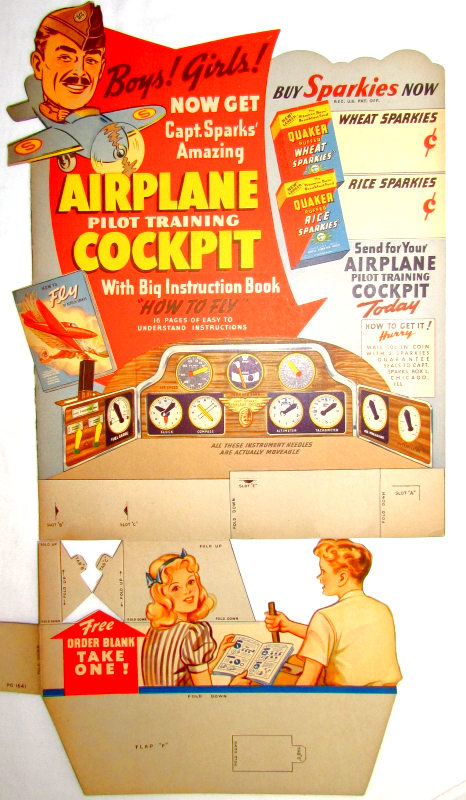 Because metal was not available for toys during wartime, the lifesize cardboard toy fighter plane-type cockpit — colored on one side with dials and windshield and printed only in black and white on the backside — with a movable square cardboard joystick called Capt. Sparks Airplane Pilot Cockpit that the girl next door had. So too, for me, my only new wartime metal toy that I had and carried with me everywhere I went like it was gold, a Captain Midnight decoder badge. I remember well my dad taking me to see the Japanese two-man midget submarine that washed up on shore just south of the pier. And, as described in World War II Comes To Redondo, lifting me up to look inside the sub through the open hatch. 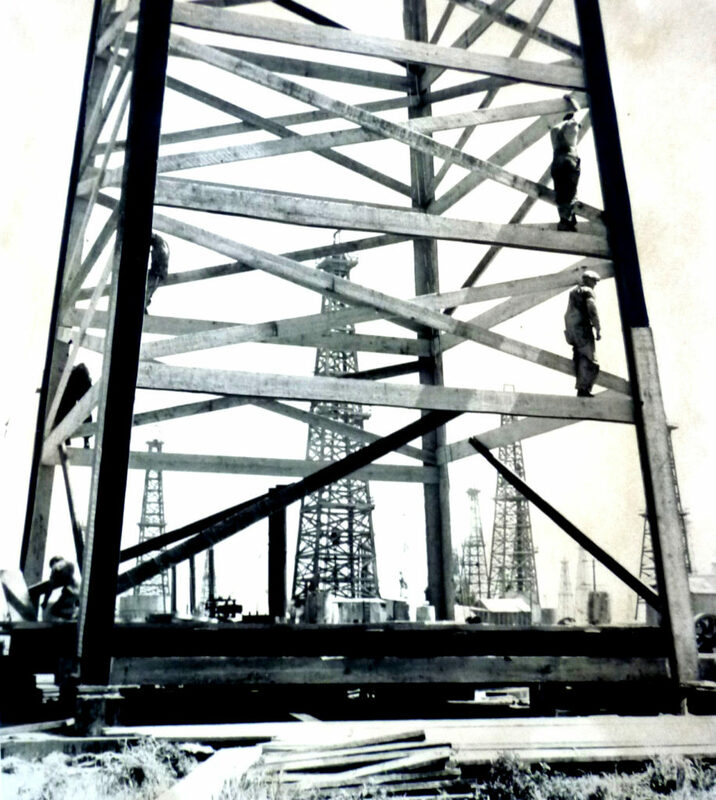 The oil derricks in the field behind my house and me telling the workmen there my mother made the best apple pie in the world — and all of them coming over to try some at my invitation, hard hats and all. 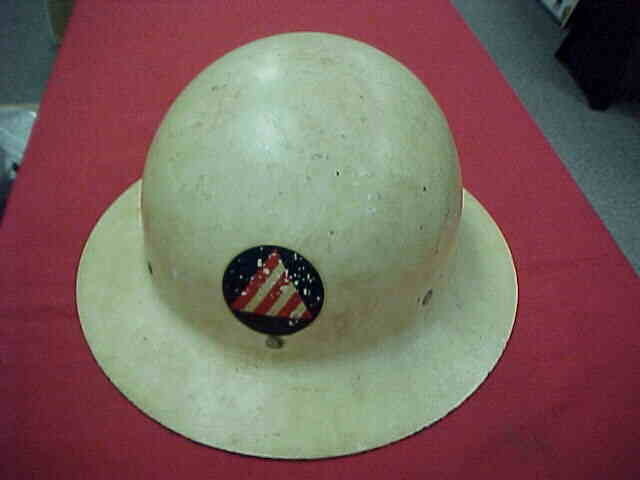 I remember as well, my dad, like Littleton’s dad, was an air raid warden — with a white doughboy helmet and an armband, both of which I would put on and run around playing air raid warden all day long. My dad got up that night when the sirens went off to do his air raid warden stuff and eventually practically everybody on our block was outside to see what was going on. Littleton was quite right about the object heading inland a couple of miles south of him over Redondo Beach. After apparently skirting some distance off the surfline from somewhere around El Segundo to Hermosa Beach, for unknown reasons just as it passed south of the Edison electric generating plant in Redondo, rather than continue south around or past Palos Verdes peninsula, it turned diagonally inland headed in a south southeast direction. See PART III. Later reports stated the object had been flying at an altitude between 8,000 to 12,000 feet, and if such was the case, with all the searchlights trained on it you would have thought at that altitude we could easily see it coming, but we couldn’t. True, from our vantage point on Lucia Street, because of the low hills rising up just across Torrance Boulevard at the end of the street, our view of the steam plant was blocked. However, the craft must have been slowly dropping altitude ever since it left Baldwin Hills to El Segundo because when it came over us, the object, whatever it was, was not that high off the ground. It was a huge giant thing that loomed up over the hills looking so big that when it crossed above our heads you couldn’t see the sides, only the bottom — and it took forever for the thing to finish passing over. When it crossed over our house, because it was so low, my dad actually thought it was coming in for a landing. In those days a few miles southeast of us was the Lomita air strip along with the remnants of a dry lake and my dad thought that was where it was headed — as if maybe the craft had been damaged or something. When he was assured there was no longer any imminent danger my dad and a few neighbors, some armed with rifles and shotguns, hopped into a couple of cars with some of the men standing on the running boards, and took off down old Sepulveda chasing after it. It continued south southeast, gaining both speed and altitude. Not landing like they thought and not being able to keep up the men turned back. The object eventually crossed somewhere between Palos Verdes on the west and Signal Hill on the east coming out over Long Beach heading south along the California coast toward Huntington Beach — although at a much, much higher altitude than when it went over Lucia Street. Where it ended up nobody knows. Or do they? Even though the object basically came straight on and crossed directly over the top of us, being out of the range of the searchlights it’s actual shape was hard to discern against the upper night sky. My dad, who in 1929 had actually watched the Graf Zeppelin land in Los Angeles at Mines Field (now LAX and about eight miles north of Redondo Beach) and even walked along side and under the giant airship, often said the object that passed over us that night was as big, if not bigger, than a Zeppelin. Face on as I remember it, the object was not round or circular like a Zeppelin or a blimp, but wide and flat or slightly curved toward the center concave-like across the bottom from the the outside edges. It seemed bluntly-wedged or possibly sloped toward the top and back somewhat in the front, sort of like the triangular or boxy shape of present day stealth aircraft or more closely, an upsidedown pointed shovel. From my vantage point there was no sign of of ribs or superstructure. No markings, alienHieroglyphic Writing, insignias, or numbers — earth-based or otherwise. No openings, windows, portholes, hatches, seams, or lights that I remember. In 1942 the Happy Hour Café was located on the beach-level corner of one of the apartments along with several other apartments owned by the infamous alleged South Bay madam Fifie Malouf, at 300-400 The Strand, Redondo Beach — between the Edison steam plant and the Redondo pier — the exact place the object is said to have come in over off the ocean (none of the buildings in question along the Strand or that portion of the Strand exits today, first wiped out by powerful storms in 1953, then later torn out for redevelopment). Neither of the then 1942 standing versions of the Happy Hour Café or the Edison steam plant are depicted in the above graphic, both being just out of view beyond the lower left hand bottom corner. However, moving across the graphic toward the very center you can see what looks like a rectangle shaped dirt field and just to the left a two-story building that appears to have eight dark large multi-pane windows. The field next to the building was actually the playground for Central School, in those years a grammar or elementary school of which I attended. The building next to it is the actual school itself, both located along Pacific Coast Highway. The 1942 object came in across Redondo Beach from what would be the left of the graphic about one-third of the way up, crossing toward the right slightly diagonally in a south east direction directly over or somewhat east of Central School. Further down the page I write about a boy and his mother who lived on the 200 block of South Guadalupe Avenue near where it crosses Garnet Street. The mom woke her son up to get him out of the house because rounds of gunfire were whizzing right across their front yard, tracking toward some airborne object just north of them that was coming up from the beach. His mother had gone outside to see what all the commotion was and saw the object darkly shadowed on-and-off from behind apparently by distant searchlights trying to find it. By the time she got the boy outside the shooting had stopped and whatever the guns were trying to hit had already crested over the hill to the east so, although his mother saw it, he himself never did. In the graphic above, straight up the street just to the right of the dirt field that I designate as the playground for Central School, not far above the upper right corner of the field is what appears to be a light colored or white two-story building. That building is at the end of the 100 block of South Guadalupe just before the 200 block starts across Garnet Street. The rounds that were whizzing by the woman’s house were coming overhead up her street from an anti-aircraft battery in South Redondo. The point past the Edison steam plant where the object turned inland toward the southeast, the ground generally slopes up from sea level at the beach to around 150 feet within a mile or so. The object must have already been flying at or near that height as it did not seem to need to change altitude much as it approached the level of the top of the hill. It was clearly exposed to ground fire in the open air broadside from both the north and south before it began hugging the rooftops of the houses built along the higher level ground. It was out of range of anything from the north and to the south, the Hollywood Riveria battery was almost two miles away. That did not stop it from opening up on the object for the short time it had it in profile. It just was not effective, the rounds were falling all over the place before and beyond its path. The anti-aircraft firing was fully attested to the next day by the boy going around with a couple of buddies picking up pieces of shrapnel in various far-flung parts of the neighborhood. On the night of the fly-over, between from where I stood in the dirt alley behind my house and the oil wells began to rise up out of the fields, I had a perfectly clear and unobstructed view of the back of the object. So said, people often want to know if the rear of the craft had any exhaust ports or rocket-like thrust openings. The answer is no, at least none that I remember. However, my dad said when he tried to catch it, coming almost abroadside although well below and somewhat behind, he could see what looked like three distinct, possibly four, narrow red-orange slit-like openings on the side toward the back, describing them as “looking like shark gills only glowing.” I saw nothing like that. Matter of fact I am not sure what the motive power for the object was. I do know, even though its size was likened to a Zeppelin it didn’t act like one. Zeppelins are lighter than air machines and there is a certain physical and psychological buoyancy to them, both in reality and perception. This object seemed more like a battleship. There was something heavy about it. The thing is, is that it made absolutely no sound. Totally silent, which is odd because almost everything I ever saw that moved and was that big — locomotives, airplanes, ships — all made lots of noise. The only other thing that stood out about the object was that it left a very slight but distinct odor trailing off behind it. If any of you have ever owned an electric train like a Lionel for example, and noticed the smell the transformer gives off during a lengthy period of use, after the object passed overhead, in it’s wake, the air reeked with an odor very similar to that same smell. For me however, what I remember the most, even to this day, was how sad the thing seemed. It was like a lost baby elephant just searching for its mommy, and everywhere it went it got chased away or shot at. Nozaki, who later went on to be an Oscar nominated art director, apparently drawing upon his experiences in the field that night in 1942, designed the terrifying Martian flying machines seen in the 1953 movie War of the Worlds. In a personal one-on-one interview Nozaki said he incorporated some of the ominous-like aspects of the object he saw such as the curving down contours into his ‘War of the Worlds’ craft wanting to capture some of the fear he felt as the real-life dark object came toward him — as though he was going to be clutched up by it. So too, how it mysteriously remained aloft, apparently with some sort of technology or power we did not have. In Wells’ novel the machines were held upward by three robot like legs. In the movie he tried to make it seem they were being held off the ground and “walking” by three invisible force-field legs. That is why they appeared to tip to one side and fall over when they began crashing. (RENO EVENING GAZETTE, FEBRUARY 26, 1942). NOTE: The above article titled “The ‘Attack’ on Los Angeles” can, for easier reading, be increased in size by clicking it then clicking it again. Over and over the question comes up, in that I was such a little kid at the time of the “Battle of L.A.,” how is it possible that I remember so much? I get into some of my suspicions as to a potential answer a bit more thoroughly in a footnote at the very bottom of the page. However, even though what I have presented covers a lot of material, most of what is presented comes not just from my memory, as a kid or otherwise, but plain out-and-out research, including at least two highly exclusive eyewitness interviews — research and interviews that I have shoe-horned around what I DO remember. For example, the date and time of the oil field shelling near Santa Barbara: 7:15 PM February 23, 1942. I didn’t know that as a kid. Matter of fact, I didn’t even know there had been an oil field shelling. 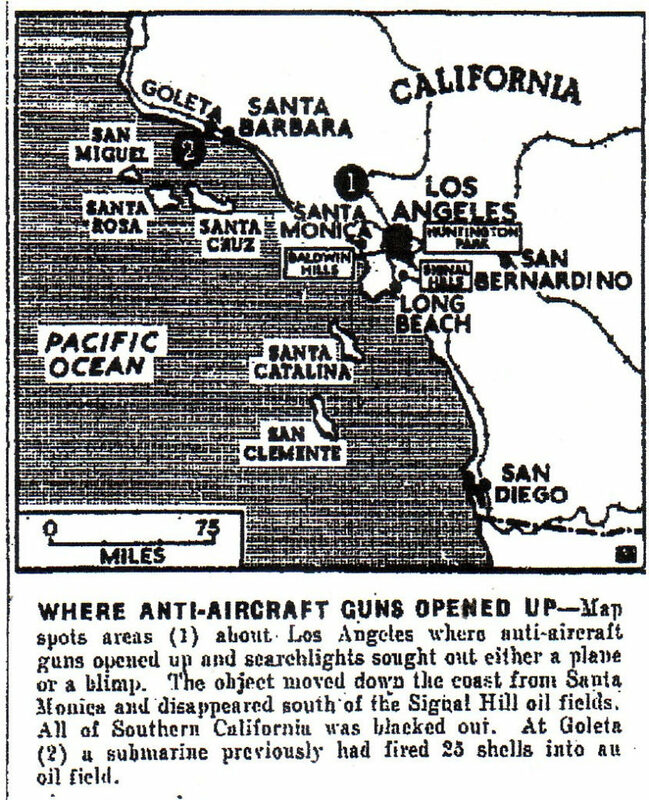 I discovered it in my research and connected it with the fact that the shellings by Japanese submarines just up the coast from Los Angeles only hours before the L. A. fly over most likely made a lot of folks jumpy or trigger happy. The Government Printing Office multi-volume set reported that radar picked up an unidentified target 120 miles west of Los Angeles and because of same, at 0215, anti-aircraft batteries were alerted. The report goes on to say they tracked the target to within a few miles of the coast, and at 0221 a blackout was ordered even though the object “tracked from the sea” seemed to have vanished. So, at 2:15 AM the object is out over the open ocean west of Los Angeles. Then, six minutes later, at 2:21 AM although it should have been right on top of the coast and still in radar contact it disappeared — of which I write “reducing it’s speed to a near crawl some 50 miles out, turning inland somewhere near Point Dume.” Radar picked up an unidentified target 120 miles out, the last half of which it must have slowed to a crawl. How do I know? Now, I don’t remember that as a kid, I have extrapolated it from the research, that is what I found in the government multi-volume set and other sources. The report says the object “vanished.” It must have dropped altitude and crossed into the mountains behind the radar shadow, thus appearing to disappear. My eyewittness says at the exact same time something crossed overhead above him in the mountains near Agoura, “a huge gigantic flying thing not much higher than the tops of the trees — and not making a sound, but all the while blocking out a good portion of the night sky and most of the stars — slowly crossed overhead curving toward the east after coming out of a more south southwesterly direction.” He says the object SLOWLY crossed overhead — which means it reduced it’s speed to a crawl. To have crossed overhead where the eyewittness saw it, it would had to have turned inland somewhere around Point Dume, again my speculation from the facts so presented. The giant object skirted the north side of the Santa Monica mountains toward the east along Ventura Boulevard only to turn south in a gap in the mountains about midway along the southwestern edge of the San Fernando Valley. After turning south the object crossed over Baldwin Hills and turned westward toward the ocean coming out over the aircraft plants near the El Segundo tank farm. From there it went south along the coast turning back inland somewhere past the Edison plant in Redondo Beach. The anti-aircraft guns opened up at 3:06 AM — 45 minutes after it disappeared — that is, when it showed up again, not on radar, but visually and BEHIND the sea facing anti-aircraft guns. Smart. The thing is, none of that has anything to do with what I remember or don’t remember. It only supports what I remember. What do I remember? Well, whatever it was, the object crossed right over the top of my house in Redondo Beach in the middle of the night. Also that it didn’t look like a blimp like some people say, but more like an upside down shovel. Why would I remember that? Because in those days, like so many others, we had a Victory Garden in the backyard and I used to help my grandfather and mother maintain it. For that we had a number of garden tools, of which some were shovels. One of the shovels had a broken handle and my father removed what was left of the handle out of the sleeve portion that held it. 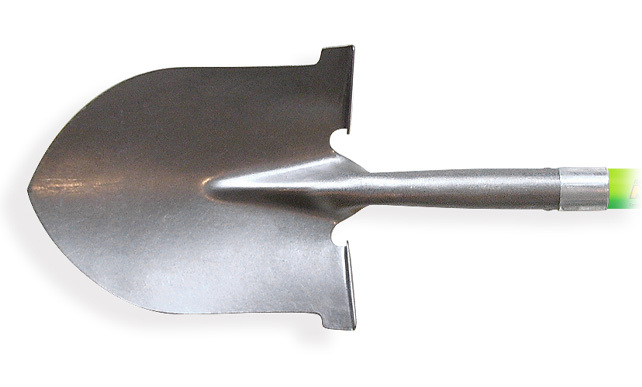 The metal spade part looked so much like the object to me I used to run around holding it like a kid might do with a model airplane, mimicking the flight of the craft — and when I did, the other kids that didn’t see it that night, made fun of me. They had wood and cardboard toys of what would one day come to be my favorite fighter the P-40 Warhawk to do pretend battles with Zeros. I used an upside down shovel. What else do I remember say besides the Capt. Sparks Airplane Pilot Cockpit that the girl next door had? (see) I remember that the object was NOT round in the front like a blimp is round face-on. Like I say, my father worked in the shipyards in Terminal Island I remember seeing barrage balloons floating in the sky tethered to the ground all around the shipyard area. To me they were “blimps” and face-on they were round. I remember it clearing the oilwells behind the house, that the rear of it, unlike a shovel, was rectangle in shape across the back, thick where you put your foot to push a shovel into the ground. Also there was a distinct odor in the air like a Lionel electric train transformer gives off following in it’s wake. Almost everybody remembers smells, and the smell of a Lionel train transformer is one of them for me. Like burnt electricity. So too, as found in the A Quick Personal Note link below, I also drew information not JUST from memory, but, for example, a whole page of notes that contained nothing but comments from my dad’s own eyewitness account — a dad who was not just a kid at the time of the incident like me — but a grown man 37 years old. Hence, my ability to add to and present more specifically such things as my father and neighbors taking off down old Sepulveda, the Lomita air strip, shark gills, etc. I could go on and on, but by now I am sure you get the point. Besides, a good portion of those who question my “young age” and any ability to remember because of that young age do so with some bone to pick. They are looking to discredit or weaken what has been presented, which inturn would blanket the whole presentation as being inaccurate. However, again, a whole host of what has been presented is from facts and sources from other than my “kid” memory — I have just shoehorned them around what I remember. Littleton was talking about the stereotypical percolator coffee pot lid disc-like objects of the day with little glass humps on top, of which the L.A. Times photograph seems to show. However, the UFO over L.A. was far from typical. If anything it was highly atypical of the UFOs of the era. It was huge for one thing. More people reported it was Zeppelin-size than anything else. Even Warren himself, as cited in the main text above, figured the object was at a minimum at least 800 feet long. Very few of the “literally tens of thousands of eyewitness accounts of UFOs in this country and elsewhere that have come to light in the course of the last six decades” have claimed to have seen UFOs anywhere near that size. Now that you know all about the 1942 “Battle of Los Angeles” and the UFO over L. A., if you want to know how a huge, giant, nearly Zeppelin size object seen by thousands could simply vanish into the night sky without a trace, please visit PART II, below, as it contains some rather interesting additional information, including speculation as to where it went to and what actually happened to the object. Dr. Wolf provided a revisionist history about the beginning of the modern UFO era. “The first UFO came down in 1941 into the ocean west of San Diego, and was retrieved by the Navy.” The Navy has held a leadership position in UFO matters ever since. Interestingly enough, for our purposes here, another time given for that UFO retrieval — without altering the fact that the object came down in the ocean west of San Diego — comes in a letter Dr. Boylan received from the son of a Colonel William Brophy, now deceased. In the letter, written in response to the Nexus article, the son relates his father told him in conversation on more than one occasion that the date for the UFO retrieval was NOT the more general 1941 as Dr. Wolf extrapolated from his sources, but actually the following year on the more specific date of February 25, 1942 (i.e., “Air Force Colonel’s Son Reveals 1940s U.S.-UFO/Star Visitor Encounters,” UFOfacts, July 21, 2003, http://groups.yahoo.com/group/UFOFacts/message/10345).—Dr. Boylan makes it clear, however, that there is no independent corroboration for the February 1942 date other than details provided by Brophy’s son through his father, which have otherwise been proven to be consistent with little known facts Dr. Boylan is privy to that are known to be accurate and harmonious to the event — the event being the recovery of the UFO by the Navy. Even though the date/year may not have independent corroboration the EVENT itself, that is, the recovery of the UFO by the Navy off San Diego, most certainly does, as it is backed up in the March 5, 1942, memo from the Army Chief of Staff to the President of the United States cited below. Personally, I find the March 5, 1942 memo date, considering the timing and sum of its contents, to be much more consistant with a February 1942 down date than a whole one-year-before 1941 date. However, personal conjectures aside, neither Dr. Boylan nor the colonel’s son are necessarily putting the date of February 25, 1942 into the perspective it deserves nor together with anything else. The date IS, of course, totally consistant to our thesis here, as February 25, 1942, is the EXACT same date that the object was seen by hundreds if not thousands of people to have crossed somewhere between Palos Verdes on the west and Signal Hill on the east before coming out over Long Beach and heading south along the California coast before it just disappeared — with the same direction of travel being, if continued, San Diego. 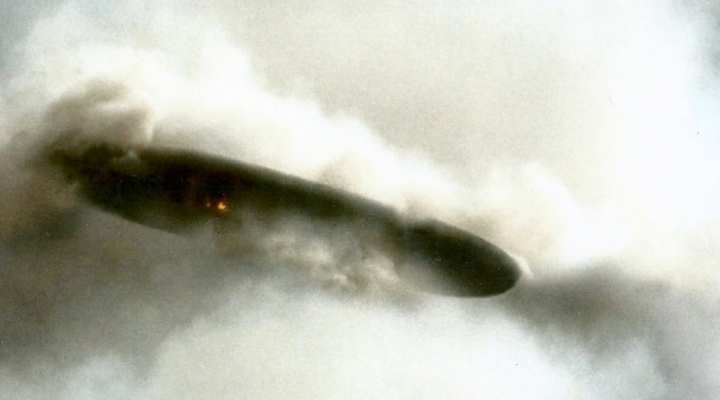 If you remember from above, when it crossed over my house in Redondo Beach, because the object was so low, my dad actually thought it was coming in for a landing — as if the craft may have been damaged or something. Since nobody seems to know what happened to the thing, the possibility exists that it could have gone down in the Pacific somewhere off San Diego. If it did go down off San Diego and was recovered by the Navy it is certainly not a widely known fact even amongst those who are familiar with most of UFO lore — hence Dr. Boylan’s interjection of the revisionist history tag line. However, a LOT of people, and I’m talking regular old sailors here, deckhands, cooks, and able-body seamen — probably ALL without security clearances — would have to had been involved in any type of deep water recovery of something said to be so big. I had a confidential clearance working on the U-2 as a civilian, and because of the nature of the work I did, bumped to a top secret security clearance upon entering the military — and I know from experience it would be very, very difficult to keep a lid on such an operation over any period of time under similar circumstances. All of the beach towns south from Santa Monica to Redondo Beach reported seeing the object. None of the beach towns from Long Beach south — except possibly Seal Beach — reported it. In my opinion I think some distance off the coast west of Seal Beach or Sunset Beach, or possibly even Huntington Beach, the object turned more west southwest and headed out to sea toward the basically uninhabited island of San Clemente. Coming down the coast from the north, San Clemente is the last and most southern of the Channel Islands, located probably less than fifty miles off the California mainland and about halfway between Long Beach and San Diego. The craft landed for damage assessment or maybe to administer some sort of repairs, then took off before anybody could act. In February of 1942 there was a barely used if not practically abandoned, wide open Naval Auxiliary Air Station located right in the middle of the island. In 1938 the Works Progress Administration (WPA) and a contractor had built two runways, one 2,000 feet the other 3,000 feet over an old airstrip. The construction was completed by 1941, but for all practical purposes it really wasn’t being used. It is not that the object needed a runway to set down, only an unobstructed, wide open area — without a major population to contend with. The San Clemente strip was the only viable landing area for a wounded or disabled craft for thousands of miles around that met such criteria. No coast defense guns, no shore batteries, no searchlights, no prying eyes to speak of. It was only sometime AFTER the incident that any real sort of military presence showed up on the island, first with a Marine scouting squadron that suddenly began operations from the airfield with 19 Vought SB2U Vindicators sometime in 1942, then the Army installing and activating TWO fully equipped radar stations. In other words, at the time the object exited over the Pacific south of Long Beach heading toward the general direction of San Diego, the island had so few people on it, it was basically unihabited. If the object successfully slipped away to wherever UFOs go, took off and fell into the ocean only to be retrieved later, or is laying at the bottom of some deep sea canyon rotting away I can’t say. It could have even been captured on the ground on San Clemente, negating any use of “lots of able-body seamen without clearances” or anybody else for that matter. Please note in the purported letter or memo of communication below, between then U.S. President Franklin Delano Roosevelt and the U.S. Army Chief of Staff General George C. Marshall, dated February 27, 1942, two days after the UFO over Los Angeles, where FDR refers to “atomic secrets learned from study of celestial devices.” The date, being just two days following the February Los Angeles event, is most likely coincidental as nothing if anything — except perhaps speculation — could have been garnered of any substance or significance over such a short period of time. The gist of the memo does, however, set the tone for a more receptive atmosphere of such events by powers that be. 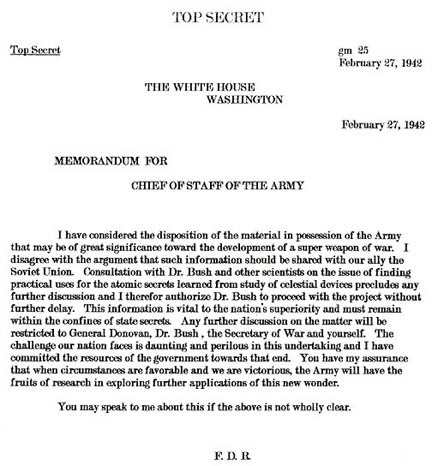 The Dr. Bush refered to in the memo by the way is Dr. Vannevar Bush, the chairman of FDRs National Defense Resource Committee (NDRC), which looked into the invention and development of atomic weapons for the war effort. Prior to the outbreak of World War II, because of the potential threat of hostilities between the U.S. and Japan coming closer and closer to a full-blown reality, Roosevelt promoted the head of the Office of Naval Intelligence, Captain Walter C. Anderson, who personally had done extensive top secret work breaking the Japanese code, to be the new Commander of Battleships, Pacific Fleet. On March 5, 1942, less than two weeks after the above message, Marshall sent another top-secret memo to the President regarding the air raid over Los Angeles stating “it was learned by Army G2 that Rear Admiral Anderson recovered an unidentified airplane off the coast of California with no bearing on conventional explanation. 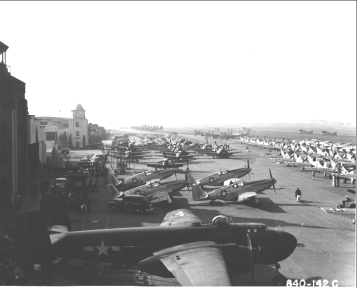 This Headquarters has come to the determination that the mystery airplanes are in fact not earthly and according to secret intelligence sources they are in all probability of interplanetary origin.”–Notice that Marshall says Army G2 learned, implying the Navy was keeping the information to themselves. Notice as well Marshall also uses “airplanes are” indicating the plural, or more than one. All the talk of “airplanes” is probably how the Army got wind of the whole thing in the first place. In 1942 the Air Force was not a separate entity, but under the Army’s umbrella. Inter-service rivalry not withstanding, flying things by their very nature fell under Army’s purview — and no doubt how Air Force Colonel William Brophy, not a Navy man, became privy to the information he eventually shared with his son. Questionable of course, but as far as “airplanes” go it could be the major craft in a effort to reduce weight or some such thing left a shuttle craft or two, or even an escape pod or two on the island — or dumped just off shore — and once located and retrieved by the military, because of advanced technology, were taken for something much more important. Which would be in analogy much like capturing or finding one or two of the gasoline or diesel operated boat launches as used by a nuclear-powered aircraft carrier to shuttle crew back and forth to shore and deducing from the technology onboard the launches as being equivalent to that of the aircraft carrier itself. As stated above Dr. Boylan has related there is no independent corroboration for the claim of Colonel Brophy regarding the February date. If you recall previously I mentioned my Uncle knew the famed meteorite hunter and astronomer Dr. Lincoln La Paz. Dr. La Paz knew of my early childhood experience regarding the object seen over Los Angeles and, although he never discussed it with me, was, according to my uncle, fascinated by it because on July 10th, 1947, only a few days after the Roswell Incident, La Paz — who had thousands and thousands of hours of scientific time observing celestial objects — reported seeing a HUGE eliptical-shaped object flying in the sky near Fort Sumner, New Mexico, while driving by car with his wife and children. According to La Paz’s calculations, confirmed by his wife, the object was 235 feet long and 100 feet thick. Its horizontal speed ranged between 120 and 180 miles per hour and its vertical rise between 600 and 900 miles per hour. For more regarding the sighting by La Paz please refer to CASE 21, Hearings before the COMMITTEE ON SCIENCE AND ASTRONAUTICS, U.S. House of Representatives, Nineteenth Congress, Second Session, July 29, 1968. My Meeting Dr. La Paz occurred when he visited my uncle and me while we were camping along the rim of Meteor Crater doing minor archaeological work associated with the little known ancient Native American ceremonial pit houses on the the southwest rim. He didn’t really pay much attention to me, but my uncle did tell him in conversation that I had been witness to the Battle of Los Angeles, both my father and I having seen the object quite clearly and up close. According to my uncle, after La Paz had his own experience near Fort Sumner he became fascinated with my account of the Los Angeles object because, not unlike the one he saw, it was huge — most such phenomenon reported falling into the somewhat smaller disc-like or saucer-shaped object category. La Paz especially liked the fact I had said the rear or stern was rectangle in shape, rounded on the corners, flat on the bottom and top and fairly thick. He liked the thick part, because he determined the object he saw to be a 100 feet thick — an unusual statistic at the time. La Paz, who, while on leave from Ohio State during World War II, served as Research Mathematician at the New Mexico Proving Grounds and as Technical Director, Operations Analysis Section, for the Second Air Force, told my uncle that the object I had observed, and that he was so fascinated with, did in fact go down off the coast of San Diego around sunrise on the morning of February 25, 1942. One could, if one were to so choose, detect a significant difference in actual application between “it came down into the ocean” as cited by Dr. Wolf and “the recovery of an unidentified airplane off the coast” as seen in the memo by the Secretary of the Army. For me, “going down off the coast of San Diego” is basically semantics and continues to jibe with my belief that the object landed on San Clemente Island — which we know is off the coast of San Diego. One way or the other, in the end, it remains my contention the big one got away. It should be noted for the reader that since this article was put online several years ago, many people have taken my original idea of the L.A. object landing on San Clemente Island and ran with it — and done so nearly always without citing sources or giving credit. However, the possibility for the potential landing at San Clemente was extrapolated directly from MY uncle through personal conversations with Dr. La Paz. According to my uncle, after La Paz had his own experience near Fort Sumner he became fascinated with my account of the Los Angeles object because, not unlike the one he saw, it was huge — most such phenomenon reported falling into the somewhat smaller disc-like or saucer-shaped object category. La Paz especially liked the fact I had said the rear or stern was rectangle in shape, rounded on the corners, flat on the bottom and top and fairly thick. He liked the thick part, because he determined the object he saw to be a 100 feet thick — an unusual statistic at the time. Any of you who have read my online material have more than likely come across the fact that at onetime I owned an immaculately restored 1940s wooden Ford station wagon (see). One day I parked the woodie outside a small restaurant when a man came running in yelling at the top of his voice asking if anybody in the restaurant owned the wooden station wagon out front. Instantly seeing in my mind’s eye tiny little bits and pieces of wood flying into the air and scattered all over the parking lot thinking he or somebody else had smashed into it breaking it to smithereens, I jumped from my seat, brushing the man aside, and ran out the door. The woodie was not touched. Matter of fact it was just as I left it. . The man doing all the yelling was a skipper of a yacht come marlin boat moored in the Marina Del Rey harbor owned by the grown son and heir of a major multimillionaire oil man. (see) The skipper just wanted to know who owned the wagon out front and who the person was that was responsible for maintaining the wood on it. Showing a huge sigh of relief that the car was not demolished beyond repair in some fashion I told him the person responsible for keeping the wood in such great shape was me. The skipper asked if I would be interested in doing, as he called it, the brightwork on his boat — meaning, basically, sand, scrape, and spar varnish all the natural-color wood on the boat over and over for the rest of my life. Although I changed my mind later, initially my answer was no, but it did lead me, out of curiosity, to go to where the boat was moored and look it over. It just so happened the day I was there a young woman was walking along the dock with several small children in tow when one of them, a very little girl who I guess could not swim, missed her footing somehow and slipped off the edge of the dock into the water. For all practical purposes she was drowning. The mother started yelling like crazy and since I was probably the only person really within earshot close enough to respond, I leaped off the boat onto the dock and into the water. While still in the water I handed the little girl up to the skipper, who had been running all the way along the dock only a few steps behind me. In the process, due to all the commotion, a small crowd gathered. Amongst the crowd was a woman that recognized me, a former Rose Marie Reid swim suit model that I knew as Sullivan, but since married to the son of a renowned ocean explorer. (see) They had a boat in the harbor and since we had not seen each other in years, after everybody was sure the girl was OK, she asked me to join her for drinks on her yacht, get into some dry clothes and get caught up. As I was leaving later in afternoon Sullivan asked if I would be willing to go to a party she was throwing in a couple of weeks. As I slowly strolled away down the dock I halfheartedly turned back and nodded in agreement that I would attend. Little did I know at the time that anything related to what was going on would eventually involve the woman on the dock with the prophecy of an ancient tribal elder and Navajo Code Talkers. I duly showed up at the designated time and duly circulated and engaged in small talk. Unexpectedly, during the chit-chat sessions two things related to the L.A. UFO came up — both from the same person, a diver by the name of “Jack” — who would one day become a highly respected, albeit non-academically affiliated, marine archaeologist. At the point in time we are talking about here however, he was a low level player in the field working his way up the ladder and on his degree. Even so, he was still well known up and down the California coast for his diving expertise and underwater archaeology skills. We got to talking and one thing led to the next, eventually the conversation turning to the L.A. object. He told me although he was too young to have participated in any original dive related to the object — actually he had not even been born yet — he had met a couple of old timers, hard hat guys, who had. They told him they participated in a retrieval effort of a highly secret nature off San Clemente Island a few months after the start of the war — not between the coast and the island proper, but on the east open ocean side. They told Jack, to their knowledge nothing ever came of it and nothing of any size was found or located, although over the years they heard rumors to the contrary. For one thing, apparently whatever they were looking for sonar was not able to detect it. So too, they had been diving during the day which was fairly typical, doing so in conjunction with the civilian contracted Navy salvage vessel ARS-1 Viking. However, the regular daytime teams, including the two aforementioned hard-hat guys, were pulled and sent back while a so-called specially trained night diving crew was brought in moving to the deep open V-shaped trench directly off the southeast tip of the island. What the night-divers found, if anything, is not known. Secondly, Jack told me even though San Clemente Island was run and controlled by the Navy and off limits HE could, if I was so interested, get me on the island. Which needless to say, I took him up on. So, even though some may talk about San Clemente using my ideas, unlike most, I have actualy been there and looked the place over to see if any of it was remotely possible. To this day I cannot say for sure, only that I saw the object that night as a young boy, it was huge, as big as a Zeppelin, and that La Paz told my uncle it went down off the coast. THE BATTLE OF L.A. OBJECT HAD 1440 ROUNDS OF ANTI-AIRCRAFT ROUNDS THROWN AGAINST IT, YET IT STILL GOT AWAY. In the text I use the term “for unknown reasons.” The term is used here by me because other than my own suspcions or speculations, the REASON for the object’s change in direction is not known. How could the object and/or any intelligent or artificial intelligent operating systems thereof, have reached the conclusion, i.e., “known,” that continuing along the coast in the same direction that it would encounter anything any different than what it already had encountered? That is to say, if the potential possibilities of what it faced was so much different than what it already faced that it would necessitate a change of direction at that specific place and time just past the Edison steam plant? As far as the object was concerned if there was a difference, what could that difference be — and how would it have known? I do not know how it would have known, but there was a difference, and because of that difference, a very good reason for a change in direction. It has to do with air and coast defenses. It was anti-aircraft guns from the 4th Antiaircraft Command that opened fire against the giant unidentified airborne object. 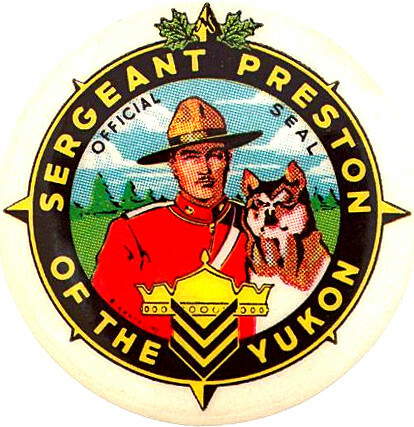 The unit involved under the aegis of the Command was the 37th Coast Artillery Brigade (AA) under of which the 65th Coast Artillery Regiment (AA) located in Inglewood and the 205th Coast Artillery Regiment (AA) located in Santa Monica were the initial active participants. At the time both regiments armament consisted of 3-inch and 37mm anti-aircraft guns and it was a combination of those guns and those from surrounding batteries that expended the nearly 10 tons of ammunition that rained down all over Los Angeles and the surrounding cities during the supposed raid. (see) At higher elevations the 3-inch guns and the 1.5 inch shells of the 37mm guns made no visible impact. As the object turned south along the surf line near El Segundo and headed toward Redondo Beach it lowered its altitude to parallel the beach just above the ocean with still no ill effect. Just after passing the Edison plant it turned diagonally inland toward the south southeast crossing almost directly over the Happy Hour Cafe at 400 Strand and owned by the infamous Fifie Malouf, barely staying above the low lying hills that crested along Garnet Street, dropping to the south side of the hill along Torrance Boulevard and crossing over the 300 block of Lucia Street. Then, gaining altitude, it headed out over the oil fields and agriculture lands beyond. It is my suspicion the diagonal turn inland just past the Edison plant was a designed move and done so because of what was forging out in the ocean just a short distance south of the generating plant. The Redondo Beach pier. According to World War II Comes To Redondo installed on the end of the pier were two 155mm guns. 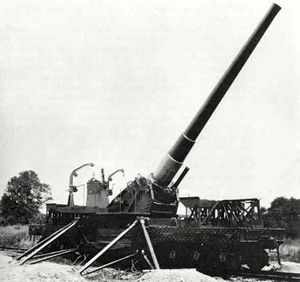 Not wussy 3-inch or 37mm guns, but huge big babys that fired full 6-inch in diameter projectiles. The object seems to have had the ability to withstand the anti-aircraft rounds without incident, but the 155mm rounds at such a close range from both guns in tamden, maybe not so well. The object turned inland toward the low coastal hills, hugging first the top then cresting over toward the bottom as they ran eastward along Torrance Boulevard. The guns on the pier did not have full 360 degree turning ability, and even if they could swing around they would not have been able to level their barrels on the object because it could not be seen. Plus, firing with such large bore rounds so close to the ground would have torn to shreds any civilian structures in its path. The same is true when the object first turned south along the surf line near El Segundo and headed toward Redondo Beach and lowered its altitude. 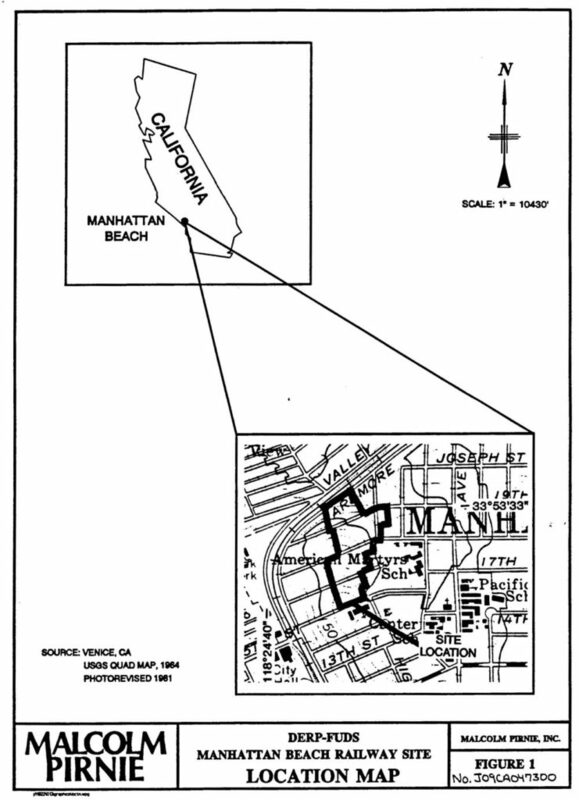 The reason it skirted just above the surf line at a fairly low elevation was because sitting between El Segundo and Redondo Beach in the city of Manhattan Beach were two of the most formidable weapons it would have encountered along its path. Even more so than the two 155mm guns on the Redondo Beach pier. In the center of Manhattan Beach just a few blocks inland off the ocean were TWO huge 8-inch railway guns mounted on specially built flatcars sitting on a spur track laid just for the guns. 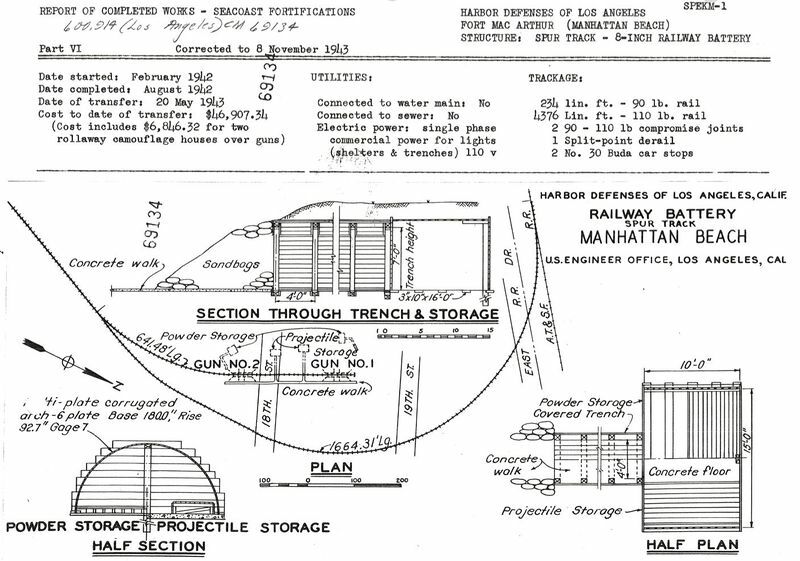 Although actual construction of the final emplacement site did not officially begin until just about the same time as the giant object’s fly over in February of 1942, most probably for defense but possibly to test the feasibility of the project and ease doubters, both cannons, in fully operable condition, were at the time, already parked on a siding in Manhattan Beach along present day Ardmore near 14th Street. A detachment (two gun sections) of Battery E, 52nd U.S. Coast Artillery manned what was called Battery Eubank from December 1941 until the spring of 1944. After final construction both guns were hidden inside false-sided buildings built in such a way to resemble two oversized farmhouses in order to disguise the guns from enemy agents, aircraft, or submarines. The guns could easily fire their five-hundred pound projectiles for up to twenty miles. So to, unlike the Redondo guns, they were able to rotate all the way around in a full 360 degrees. They just were not able to fire at an object so close in just above the beach — and, even if they did, everything in their path between the end of their gun muzzle and the beach would have been pulverized. Instead the object just slipped on by. Of course the object making the diagonal turn over Redondo Beach just prior to reaching the pier then cutting across the flatlands and passing in behind the sea-facing 16 inch coast defense guns emplaced at Fort MacArthur was not such a bad choice either. A single hit by one of their 2,240 pound projectiles within a range of 26 miles and most likely it would have been goodbye object. 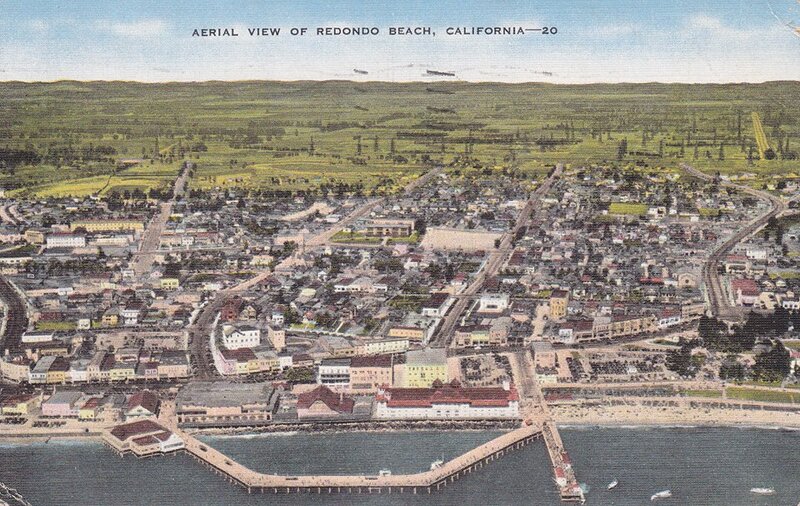 In conjunction with the above, two other Redondo Beach residents other than just myself have come forward over time and expressed their experiences regarding the Battle of Los Angeles, in turn inadvertently confirming the actual flight path of the object as it traveled over Redondo that night after it turned inland just past the Edison plant. In high school, before I got my first car, and long before I ever thought of writing anything about the Battle of Los Angeles, my buddies and I used to stop at a mom and pop market for cokes and penny candy on the way home from school. The market was not really “mom and pop” per se’ as it was actually owned and run by a father and son team named Edwards who had lived in the neighborhood for years. My brother and I used to cut the grass of many homes in the area on weekends and during the summer, and school or not, we always stopped by the little market to get snacks and drinks. They would even let us run a tab if we were short of cash. The younger Edwards was around 20 years younger than his dad, and was himself a grown man, married with a family. He grew up in Redondo Beach and lived in a house on Juanita Avenue two or three houses past my Merchant Marine Friend, almost on the top of the crest of the Garnet Street hill. He was probably in his early 30s or so in 1942 when the object crossed right over his house. As he told it he was awakened in the darkened pre-dawn hours by what he thought was the sound of gunfire. Then the house began to rattle, then shudder, causing a few things to fall off the shelves as though a bulldozer or a freight train had gone by right out front of the house on the sidewalk or something. He ran outside just barely catching a glimpse of what he said looked like the dark black hull of a “flying ship” cresting over and going down the hill toward Torrance Boulevard. He raced inside, threw on a pair of shoes and a jacket over his pajamas and ran out to the top of the hill thinking all along that whatever it was crashed into the houses on Lucia Street or into the oil fields beyond. When he got to the top of the hill none of the houses were destroyed, nothing was on fire, and there was no sign of the object. I recently received a credible email from a reader of my works who now lives in Arkansas or Oklahoma who lived in Redondo Beach as a young boy at the time of the Battle of Los Angeles. He lived with his mom on the 200 block of South Guadalupe Avenue near where it crosses Garnet Street — only a few blocks down the hill due west from where the younger Edwards lived. If you remember, Edwards was awakened by what he thought was gunfire. The mom of my emailer woke him up and got him out of the house because rounds of gunfire were whizzing right across their front yard, tracking toward some airborne object just north of them that was coming up from the beach. His mother had gone outside to see what all the commotion was and saw the object darkly shadowed on and off from behind apparently by distant searchlights trying to find it. By the time the emailer got outside the shooting had stopped and whatever they were trying to hit had already crested east of him over the hill so he never saw it. 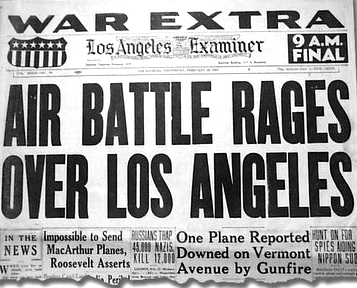 Over and over in reports regarding the Battle of L.A. it is stated that the the 37th Coast Artillery Brigade began firing 12.8-pound anti-aircraft shells at the unidentified object (just Google “12.8-pound anti-aircraft shells” and you will see what I mean. The last time I checked there were over 43,000 results). The 12.8 pound figure given as the weight of the anti-aircraft rounds used against the unidentified object is a typo most likely from some long-lost original source that has been repeated again and again until it has taken on a life of it’s own. Even Wikipedia cites the 12.8 figure. It should have been 12.5 pounds. BUT, in either case, using 12.5 or 12.8, the guns used against the unidentifed aerial object that night could NOT have been 90mm. The above 17,612.5 pounds of 3-inch rounds does not factor in the 38 rounds of 37mm shells nor do the figures reflect additional or “unaccounted” ordinance which could easily add up to the NEARLY 10 tons of ammunition so cited. However, considering the almost two-to-one weight ratio between 3-inch rounds and the 90mm rounds it is almost impossible to rectify the use of 90mm rounds. For whatever reason the anti-aircraft battery at Hollywood Riviera is not included in any of the statistics. It was most likely not on a full up and running status or even on an active operational list, with the crew still in training status. They most likely simply just joined in impromptu. NOTE: If you have not read any of the Footnotes in either section or the above section please do so by scrolling down toward the bottom of the page. Sometime in the early 1990s I set a meeting with a man who had been an eyewitness to a portion of the Battle of Los Angeles and able to add a bit of credence to the possible accuracy of the “scattered reports” that the object hugged the mostly unpopulated ridge-line along the north side of the Santa Monica mountains in an easterly direction as it headed toward it’s rendezvous with history. In my exclusive interview, according to the man’s story, whose name was William “Bill” Stout, and who had been a carpenter in civilian life and went on to build hopped-up Ford flathead wooden hull speedboats after the war, had joined the Navy in his late teens or very early 20s following Pearl Harbor. The Navy shipped him off to Point Hueneme and Point Mugu near Ventura, California, to help in the early stages of construction of the naval facilities they were building there. In the process he met and started seeing a young woman that lived in a fairly isolated section of the mountains east of Heuneme not far from Paramount Ranch, an old western movie set used on and off over the years by various film studios. Late one night after seeing and covorting around with the young woman (his words, not mine), he was racing back to the base to make sure he would not miss morning muster when, on a small road leading up toward the town of Agoura, his car got a flat tire. The man had borrowed the vehicle from a fellow Navy buddy and in that he was totally unfamiliar with all the ins-and-outs of changing the tire on that specific model of car, as well as being caught on a super dark night along the road with no flashlight, it took much longer to change than expected — as well as quite a bit more effort. Finally finished, even though it was cold and late as well as him being tired and dirty, he sat on the side of the road, lit a cigarette and sort of leaned back in the tall weeds to rest his back for a few minutes. No sooner had he done so when some sort of a giant object, a huge gigantic flying thing not much higher than the tops of the trees — and not making a sound, but all the while blocking out a good portion of the night sky and most of the stars — slowly crossed overhead curving toward the east after coming out of a more south southwesterly direction. When he got back to the base the place was in turmoil. People were running everywhere, forming up into platoons, getting into the backs of trucks carrying rifles, gernades, and gasmasks. He was told the city of Los Angeles was under attack from the air, there was a statewide blackout and everybody was going to be spread out along the coastline to protect the city and country from invasion. Some trucks did leave, but most didn’t and by sunup everything had pretty much calmed down. Eventually they were told the whole thing was a fluke, to put the weapons away and to go back to their regular business. Shortly thereafter he was sent to the South Pacific and he pretty much forgot the incident. As far as describing the object itself is concerned, he said, because there were trees on both sides of the road where he stopped and the fact that it made no sound, the object was practically on top of him before he ever saw it. He said at first he thought it might have been a blimp except it was shaped more like a “brick” and seemed heavy like one too, albeit possibly curved somewhat rather than square-like and flat in the front like a brick. Also, as he found out later, at the time of the fly over there was an area-wide blackout. The thing is, not knowing about any blackout, because it was so dark that night where he pulled over, he left the headlights on to reflect off the trees to give him as much light as he could in order to change the tire. He thought the object flew over his location on purpose because the headlights, dim as they were, unbeknownst to him at the time, still provided the only real visible light source for miles around. In addition to his discription of the object “looking like a brick,” later in the conversation he told me the incident was an eerie-like reminder of another incident that happened a few months before. He was doing some sort of training for the Navy using an inflatable seven-man liferaft. He was coming onto the beach IN the raft with some equipment as several of his buddies guided it alongside in the water holding onto ropes when the boat was swamped by a huge wave and flipped over. He was trapped underneath as the forward momentum of the waves pushed him along with his face and body being scraped by the sand and rocks. Until the raft washed back into deeper water and he was able to get out of underneath it with the help of his buddies he thought he was either going to suffocate or drown. He said when he first saw the giant flying object overhead that night he thought it looked a lot like an upsidedown liferaft — he also, for a quick few moments, felt the same apprehension or fear that he felt when he was trapped under the liferaft in the water. Like he was going to suffocate or drown. In June of 1966, one of only two operational prototype mach three XB-70 bombers crashed. As a result there was a short term rash of publicity surrounding the plane in the press, including the release of photographs in a number of popular magazines and other sources that depicted the plane from a variety of angles and operational modes. It is fairly easy to visualize that if an airborne object of similar configuration, especially of any length, flew directly over the top of you at a slow suffocating low altitude and you looked up, that you might describe the object — at least from your viewpoint — as looking like an upside down life raft. “The three men went outside and beheld an awesome sight. In the eastern sky hovering over the nearest hill was an enormous dark object. “‘It was shaped more or less like an inflated life raft,’ Aslin recalled. ‘The sky was crystal clear and it was a brilliant, star-studded night.’ Aslin pointed out that desert living had made them accustomed to ambient stillness, but the silence they encountered that night was like being deaf. NOTE: Even though the Navy man was sent to the South Pacific and says he pretty much forgot the incident it should be stated that at the time of his cavorting around with the young woman in the mountains near Paramount Ranch he was engaged to another woman, a woman of which he eventually married after the war. Now while it is true he pretty much forgot about the incident, that is, the fly-over of the giant object, he found it difficult to discuss under most circumstances and so he didn’t because he felt the how of how it happened undermined the fidelity of the relationship with his wife. In relation to what I have presented above there are some that see what they consider as inconsistancies regarding sirens going off or not going off in the Redondo Beach area when the object flew diagonally over the city. A number of people have said they lived in Redondo Beach at the time of the alledged incident and apparently, if it happened they say, slept right through it. They were sure they would have woke up if air raid sirens had gone off — hence in their esteemed opinions, no sirens went off and thus then, inturn, my father could not have been woken up by sirens, meaning I guess, the whole thing is hot air. In the main text I say my dad got up that night when the ‘sirens went off’ to do his air raid warden stuff and eventually practically everybody on our block was outside to see what was going on. Further on, in Chapter 3, writing about a Redondo Beach resident named Edwards, and, although not mentioned, like my father an Air Raid Warden, related the object crossed right over his house — which was directly under the path of the object and only a minute at the most before it crossed over my house. As Edwards told it he was awakened in the darkened pre-dawn hours by what he thought was the sound of gunfire. He said nothing about sirens. So too, no mention of sirens from a young boy who lived only a few blocks down the hill due west from where Edwards lived. His mother woke him up and got him out of the house because rounds of gunfire were whizzing right across their front yard, tracking toward some low-flying airborne object north of them. Just as the object came off the ocean and a few minutes before it reached the boy’s and Edwards house, a woman who lived along the Strand that paralleled the beach said she had heard a ruckus going on outside, sirens, guns firing, all kinds of stuff, so she went out on to the Strand only to see this “thing” a few hundred feet above the beach slowly glide overhead off the ocean, not making a sound. Before it reached Edwards an eyewitness reported hearing sirens. When it got up to Edwards at the top of the hill a mile inland he says nothing about sirens but, like the boy’s mother, being awakened by gunfire. Seconds later my dad says he was awakened by sirens. So, what’s the scoop? Soon as World War II started my dad went to work at the shipyards in Terminal Island. Up until just before the war began my dad worked for the Firestone Tire and Rubber Company in South Gate, California. While there, after doing some sort of beyond the cause of duty work for some high ranking officials, as a reward, in addition to just compensation, he was given a very rare Firestone promotional object — a deep blood red special-built scale model version of the 1939-1940 Indianapolis winner, the Boyle Special. It was an exquisitely handmade down to the last nut and bolt scale model, about 12 inches long, and just like the actual race car, had real (albeit miniature) inflatable Firestone tires on wire wheels. The model also had a highly louvered hood that was held down by little miniature belts and when undone and opened, revealed a scale model albeit non-operable engine. Just like the real car it also had a metal steering wheel rimmed with wood, attached in some fashion to the front wheels that by turning the steering wheel the front wheels would turn. My father was continually telling my brother and I the race car was not a toy and not to mess with it. Of course, every chance I got and nobody was around I would get it down and run it all over the floor by hand. One day in doing so I broke the steering mechanism. After tinkering with it myself for awhile in an attempt to fix it with no results I asked Mary Lou if she could get her grandfather to look at it. He was able to repair it in no time and as far as I knew my father never knew about it. I bring it up because amongst his junk while I was in his shop I saw a portable hand held, hand-crank air raid siren similar to the one pictured above in conjunction with this footnote. It wasn’t unusual to find Mary Lou’s grandfather out in his shop at all hours of the day and night for one reason or the other. On the night the giant object flew over he was awake during the early morning hours working in the garage while at the sametime monitoring emergency-band radio frequencies like he often did when he became aware something big was going on. 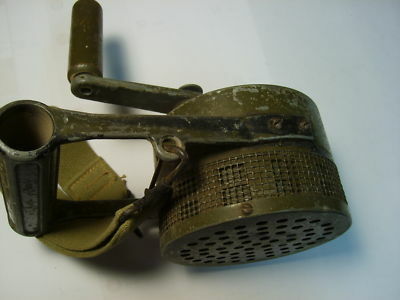 After hearing gunshots in the distance he grabbed his air raid siren and went out on the street. It was his siren that awoke my father and it was he that gave an early warning to the rest of my family and the residents on our street. Now, while it is true the description of the two objects over Williams were more “fighter-like” and lithe than “bomber-like” and heavy, the general shape of the crafts are frightenly similar to what is written describing the L.A. object. Notice the shovel shape and the “blunt across the back” comment in comparison with the drawing. In that the L.A. object is said to be more “battleship like,” in a form follows function sort of way, a PT boat and a battleship are similar in that both are boats, thus because of their nature similarly shaped. The two Williams objects and the L.A. object are similar even if the dimensions are quite different. Face on as I remember it, the object was not round or circular like a Zeppelin or a blimp (i.e., not cigar shaped), but wide and flat or slightly curved toward the center concave-like across the bottom from the the outside edges. It seemed bluntly-wedged or possibly sloped toward the top and back somewhat in the front, sort of like the triangular or boxy shape of present day stealth aircraft or more closely, an upsidedown pointed shovel.The rear or stern was thick and rectangle in shape (i.e., blunt across the back), rounded on the corners, flat or slightly concave on the bottom, flat on top toward the rear curving gently or falling off to the sides near the front as it narrowed, thinning more so toward the front, although not aerodynamically so. He told me what he saw after we ran across a poster in a book store one day regarding one of my favorite movies, The Day the Earth Stood Still. I brought up the fact that as a young boy I had gone with my uncle to Roswell because he wanted to see if there was any truth behind the so called Hieroglyphic Writing reported on some of the metal scraps — and before that I had personally observed the giant airborne object of unknown origin that came known as the Battle of Los Angeles. Between the time of the February 1942 incident regarding the huge flying object over Los Angeles (of which above, I state I remember so clearly even though I was of a young age) and me going to Roswell with my uncle in the summer of 1947 (of which I also remember quite clearly), a series of unusual and dramatic events transpired that impacted my life adversely. The sum total of those events did nothing but strengthen my memory and insight into the incidents surrounding the so-called Battle of L.A. The events included the unexpected (at least by me) death of my mother sometime around the time I started kindergarten or first grade. Being taken to India by a couple from another country without the approval or authorization of my father even before the death of my mother, albeit with the unintended privilege of meeting the venerated Indian holy man, the Bhagavan Sri Ramana Maharshi in the process. My return from India and death of my mother was followed quickly by the suicide of a dear and close relative from the blast of a shotgun he stuck in his mouth and of which, within minutes of the aftermath, I personally stumbled upon — followed even more quickly by an auto accident wherein I was rendered unconscious and found wandering in the middle of the desert all alone. The reason I bring it all up is that Professor Littleton, now deceased (November 2010. see), upon reviewing my material on the L.A. UFO as presented above, and, although he tends to agree with what I have to say because it substantiates his observations that the object turned inland somewhere around Redondo Beach, seems to think — because of being younger than him at the time — that my observations of the incident are, or can be, as he puts it, “shaky.” Under any other normal circumstances I would have a tendency to agree. However, and this is a BIG however, because of the fact that as a kid I lost so much of my childhood due to the blackout period, in my mind, during and after that blackout period I went over and over everything that I could think of that happened prior to the death of my mother, a time period, of course, that included the 1942 L.A. incident. I dredged up and held onto anything and everything I could remember, talk about, or think of — down to the most minute thing that involved me, my mother, father, and family. I needed to. My family was gone. I had nothing. In doing so, tons of things were permanently imprinted in my mind from my early childhood that anyone else in a normal situation would most likely sort out as unimportant and discard from their memory banks. As time has moved on, of course, I have taken in and discarded thousands of things — but those childhood memories that I so intensely called up relating to a time growing up while my mother was still alive and my family was still together will always, higher powers willing, remain super-etched in my memory. A few years later in my childhood, as I reached toward my mid to late eights to around twelve years old, although on and off my father was in and out of the picture, as was my grandmother, stepmother, et al, for the most part during that four year period I was overseen by my uncle . My uncle told me the first time he ever saw me I was basically not much more than a walk-around one or two year old toddler. According to how he remembered it he came by the house one day to see my mother and father while on a trip through Southern California. After that, nearly six years went by before we were to cross paths again. Because of my blackout period, which happened several years after he first saw me, but before catching up with me at eight years old, and his remembering me as seemingly a regular kid, he became concerned with “how my brain worked” — or didn’t work like everybody else’s as the case may be. That, along with the fact I did not talk much, after discussing his concerns with my dad, but for reasons unexplained to me at the time, my uncle began taking me around to various people he thought might share some light on my so-called predicament. In the process he took me to the temple of Paramahansa Yogananda’s Self-Realization Fellowship near San Diego (see) as well as high into the mountains of the Sierras to meet with a man of great spiritual Attainment by the name of Franklin Merrell-Wolff. He was a very impressive man who was a graduate of both Stanford and Harvard in mathematics and philosophy, and died in 1985 at age 98. After our meeting and without me being within earshot, Wolff and my uncle talked a long while. Following the several hours drive after leaving Wolff’s mountain compound I was tired and wasted and fell asleep for what seemed like forever. What followed after I woke up I cannot confirm had anything to do with Wolff except from my own suspicions. It could have been because my uncle was an artist and it would be an easy ploy for him to work it in, but, following the several hours drive after leaving Wolff’s mountain compound and my long sleep, within minutes of me waking up my uncle had me make simple free-form drawings in cartoon or comic book narrative style of what was going on in my head — something we had started long before Merrell-Wolff and continuing on for years afterwards. Then we would sit down and go over the drawings verbally, with me explaining in my own words what I drew and the why of my thoughts behind their visual content. In the process of those discussions my uncle either took notes at the time or wrote notes later about my drawings and what I said. One day many years later as an adult, during a period of time just prior to his death, I went to visit my uncle in Santa Fe, New Mexico, a visit that I am sure both of us felt in our hearts would be our very last time. During the process of that visit, as we often did, we started going over the many years we spent together as I was growing up. Only this time, besides just talking, unlike in the past, he began rummaging around in a few old boxes he pulled down from the attic. In those boxes he came across several files and large envelopes filled with a jumble of handwritten notes — notes he made over the years regarding any number of things, but mostly notes that contained references to our travels and times together. No dates were included to speak of nor were any of the notes to my knowledge — except for possibly a few — written on the scene. Most were jotted down several days or more after the fact from informal talks while riding in the truck, sitting in a cafe, or huddled around some rock-ring campfire someplace. For an additional perspective on the handwritten notes please see Footnote  at The Sun Dagger site. Contained within that jumble of handwritten notes were at least two full pages that either covered or were related to what I told him following drawings I made on the Battle of Los Angeles, the night of the battle, and the object (although it wasn’t called the Battle of Los Angeles in the notes — nor were any of MY drawings in with the notes). One of the two pages was fully covered both front and back with his personal comments along with his own Da Vinci-like small sketches included here and there, of what told him. At the time my uncle penned the notes, and having no idea about me having gone over and over everything I could think of about my early childhood as mentioned above, he was somewhat surprised with the minute details I seemed to be able to remember. Knowing I would have to had been fairly young at the time of the incident — and thinking what I said was more of a product of a vivid imagination than memory — he approached my father who, although for unknown reasons never talked about it, experienced seeing the object quite clearly himself that night. Apparently he asked my dad to confirm what, if anything, I had told him. In the process, not only did my dad confirm all that I said almost down to the letter, but my uncle ended up with a whole other page of notes that contained nothing but comments from my dad’s own eyewitness account, a dad who was not just a kid at the time of the incident like me, but a grown man of age thirty-seven years. Hence, my ability to add to and present more specifically such things as my father and neighbors taking off down old Sepulveda, the Lomita air strip, shark gills, etc. My uncle’s mother was a Quaker. Even though he was raised in the religion he never followed it nor practiced it. However, through her practice of the religion his mother met and knew a woman by the name of Gretchen Green. Green was a nurse who just so happened went to India and opened, then ran, a health clinic for a major Indian personage by the name of Rabindranath Tagore. Tagore’s father was a Maharshi and Tagore himself was an artist and international renowned poet, having received, in 1913, a Nobel Prize Laureate in Literature. In October of 1930 Tagore was in the United States doing educational fundraising and exhibiting his artwork, with shows in Boston, Philadelphia, and New York. Through the long standing connection between my uncle’s mother and the nurse Gretchen Green, a steadfast healthcare professional who Tagore had an exceptionally high opinion of, my uncle was able to finagle an introduction — an introduction that turned out to be much more destiny filled than just a mere passing handshake in a crowded, cold gallery. Tagore traveled in all the right circles, writers, artist, politicians, mystics, gurus. Among others he met Shunyata who, in 1974, I met as well. Equally interesting, during the 1930 visit we are talking about here, Tagore appeared on stage with the interpretive dancer Ruth St. Denis at the Broadway Theater in New York City. Inturn, unconnected to any of the events above, twenty-four years later, it was St. Denis who, in 1954, introduced me to Swami Ramdas. Although Tagore was not an Enlightened being nor did he present himself as such, he did play to the hilt the Indian side of things by strongly portraying himself as a mystic poet and philosopher — which in all reality, he was. There was something soothing or mystic-like about him my uncle sensed while in his presence. In the process my uncle was taken by Tagore and, for awhile, immersed himself into Indian religious thought. For my uncle, raised in a Quaker tradition, eastern spiritual thought seemed so open and exotic. About ten years before meeting Tagore the groundwork for things spiritual on the eastern side of things had been set into motion, generously, in an odd sort of way, opening the door for a much more receptive attitude by my uncle when Tagore came along. From my uncle’s early post high school years through to the end of the depression he was a struggling artist. He did everything he could to earn a few bucks as long as it was art related. In the early 1920s he took a job doing minor art resoration for Edward I. Farmer. Farmer was an art dealer in New York City with upscale galleries at both 5 West Fifty-sixth Street and 16 East Fifty-sixth Street. He offered a variety of Chinese works of Art as well as European antiques. He is remembered for the most part for mounting fine Chinese porcelains and jades into decorative lamps and desk accessories. While my uncle was working in the gallery studios he met a Japanese man by the name of Yeita Sasaki that was sculpting jade for Farmer. Sasaki, who at the time was a formost Zen adept and one of the first major Zen Buddhists in America, would, in 1928, become a full-fledged Zen master known as Sokei-an, receiving Inka Shomei from his teacher Sokatsu Shaku. Years later, because of a still lingering sub-surface lean toward Zen Buddhism and Indian philosophy-religion, and knowing I had been to India and returned in a somewhat can’t quite put your finger on it altered state, it is my belief that my uncle talked with my father about his concerns, putting an India type philosophic-like spin on things. 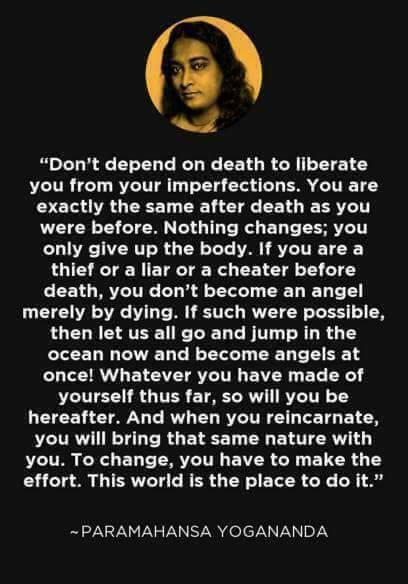 In the process he must have informed my dad that he had taken me to see Paramahansa Yogananda at his Self-Realization Fellowship near San Diego. (see) My father never heard of Yogananda, but it just so happened he knew Franklin Merrell-Wolff, the two of them having met when they were both gold prospectors together in the old days. 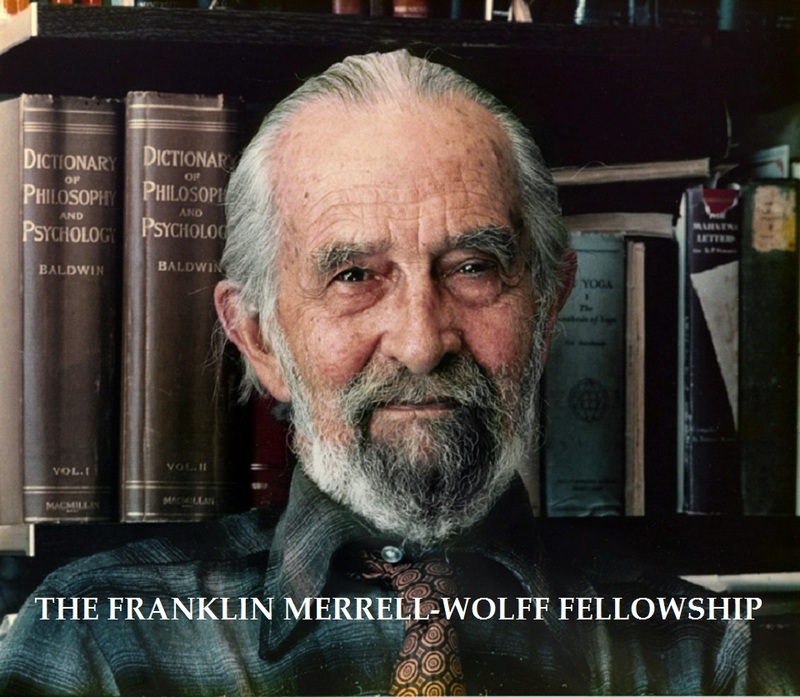 Talking with my uncle my dad remembered that Merrell-Wolff had some sort of a spiritual epiphany. Knowing him both before and after that epiphany, and remembering after that Merrell-Wolff exhibited similar — as my father called them, fucked up tendencies — he sent me and my uncle to see him. See The Tree. The movie alluded to by the eyewitness titled “1941” it is thought by some to be loosely based on the events of 1942, at least it was close enough that it reminded my eyewitness of what he experienced. Although I didn’t have a Capt. 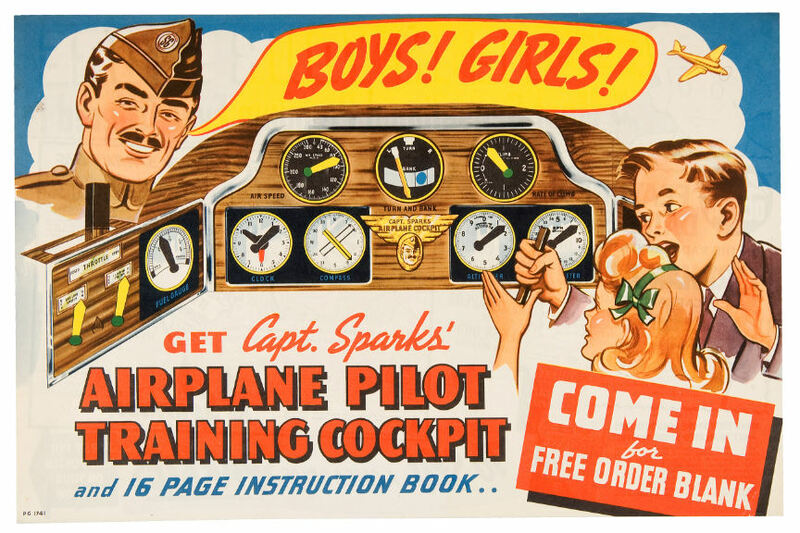 Sparks Airplane Pilot Training Cockpit myself as a kid, the one I write about above did however, play a major role in my later adult life because it did justly confirm what I could or could not remember from my early childhood. During WWII, in the period immediately after Pearl Harbor, the 8 inch Gun M1888M1A1 on Railway Mount M1918, 12inch Mortar M1890 on Railway Mount M1918, and 8 Inch Gun MkVIM3A2 on Railway Mount M1, were removed from storage and were emplaced at the following locations, Fort Hancock, NJ, Harbor Defenses of Southern NY; Fort Miles, Harbor Defenses of the Delaware; Fort John Custis, Harbor Defenses of Chesapeake Bay; Harbor Defenses of Los Angeles, Battery Eubanks, Manhattan Beach, CA; Harbor Defenses of Gray’s Harbor,Oregon; Harbor Defenses of Puget Sound, Cape George, Washington; Harbor Defenses of Pearl Harbor,Brown’s Camp; Harbor Defenses of Kaneohe Bay/North Shore, Oahu, Hawaii, Fort Hase: Battery Sylvester; Paumalu M.R. ; Kawailoa M.R. ; North Shore: Battery Kahuku; and also the Defenses of Bermuda. Some of these emplacements were in use for only a few months, others operated to the end of the war.